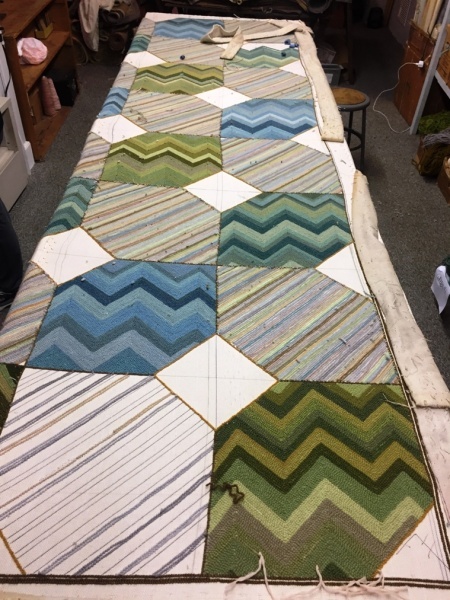 We were commissioned to make a rug for a Cape Cod house that has become the clients permanent home. The basic theme of the home is on the traditional side of things. We brain stormed with the Designer Brian Del Torro who had a vision for the rug that brought us to a block style design. We make all of our rugs on premises. Following are some production pictures from our shop in Locust Valley, New York. Partially made rug stretched on the work room frame were we hand hook the rugs. Taking colors from the murals on the walls of the dining room and also from the fabrics on the chairs the color scheme for the rug was born. 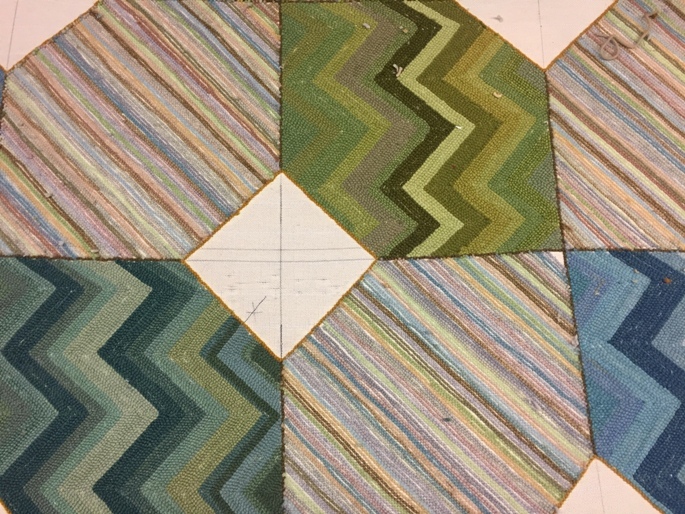 After a few strike offs we determined to make the chevron type squares in shades of blue and green. The diagonal striae blocks became a mix of similar colors all though on the lighter side. The resulting rug had a feel of two rugs in one. The darker colors seemed to sit on top of the lighter striae’s and the mostly rust color diamonds added the 3rd dimension that we were looking for. The clients were thrilled with the final product and will enjoy the rug for many years as a family heirloom. 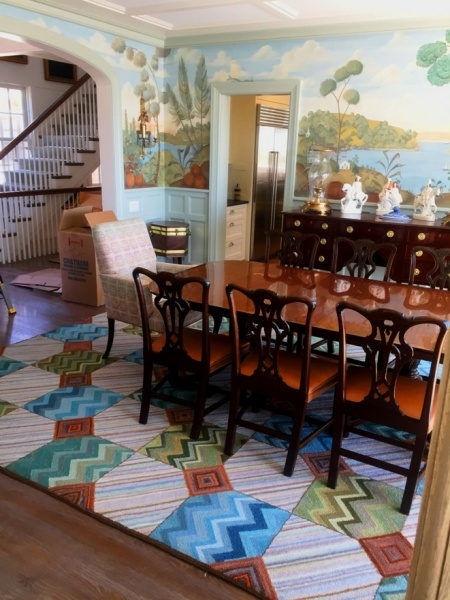 Rug installed for Cape Cod dining room!